Being a top-of-the-line call centre manager is no easy feat. You generally have a lot of employees to supervise, train and monitor and you’re expected to get them each to each produce positive results. A lot of weight is on your shoulders each day and it can make for a very high-pressured role in your company. You can, however, succeed at making your phone agents the best in the telemarketing business. And that would make you a superlative call centre manager! 1. Make yourself as approachable as possible. Most employees of just about any company see themselves as being a rank lower than their superiors. By the very definition of their roles, it’s understandable to think that way. However, it’s important to establish a relationship with your team members that encourages them to comfortably approach you with any questions or concerns they may have. By removing the tension that sometimes comes with talking to a superior, you open up your team to being very receptive to feedback and other policies of your organization. 2. Encourage your team leaders to assume parts of your role. We’re not saying that you should be passing off your responsibilities to others. We’re saying that it’s actually part of your responsibility to get your top performers to help you strengthen the rest of your team. As approachable as you may be, it stands to reason that many of your phone agents will feel more comfortable getting feedback from their teammates. If you work to inspire team unity, it will go a long way in making your team a very productive one. 3. Create teams within your team. Friendly competition not only helps to drive up sales, but it boosts employee morale as well. It makes the working environment more exciting when you provide your phone agents with greater incentives to perform well. By putting them into separate teams, you create a sense of friendly competition that will encourage your staff members to want to outdo each other in an effort to win prizes and awards and get a better sense of self-confidence overall. 4. Provide regular feedback. Never assume that a job well done doesn’t deserve a pat on the back. All too often, when people hear the word “feedback”, they automatically associate it with constructive criticism. Take every opportunity you can to verbally applaud the excellent jobs performed by the members of your staff. Of course, it will always be important to pass along helpful tips to those who could be performing better as well. Just keep the feedback going! 5. Have regular team meetings. Remember that working on the phone can be a very monotonous job. Little breaks throughout the day will help to re-energize your team. So, in addition to morning meetings, consider having afternoon meetings as well. Be sure to include jokes and anecdotes in your meetings so that they’re not all business. That way, you’ll work to improve moods, boost morale and spread good cheer. These all help to ramp up employee performance. At MeloTel, we offer call centre managers amazingly innovative tools that help them to improve their team’s performance. DaFeeder Preview Dialer offers phone agents the ability to use one-touch dialing to call their leads, while giving them a platform to write detailed notes on each account. This helps to separate leads into categories that will help for future calls to be targeted on interested parties. In addition, the Monitor/Whisper Control Panel allows call centre managers to listen in to calls live and as they happen. 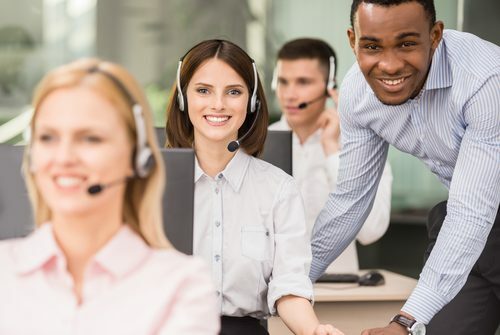 They can choose to “whisper” information to their phone agents to help them improve customer satisfaction or even “barge in” to take over the calls if necessary. 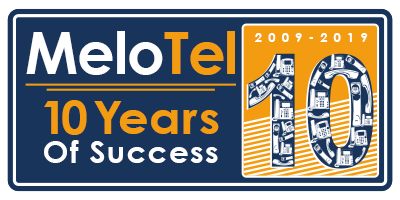 If you’re interested in learning more about MeloTel’s tools to helping you become a superlative call centre manager, please don’t hesitate to contact us. Simply call 1-888-MELOTEL or use the “Live Chat Support” feature on our website!